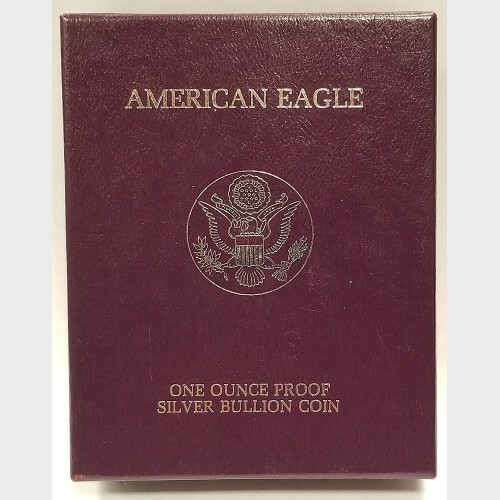 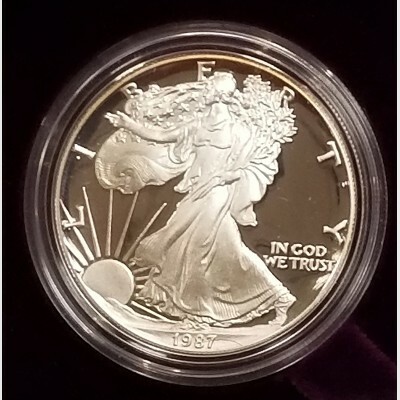 1987-S (San Francisco Mint) Silver American Eagle 1 troy ounce Proof bullion coin. 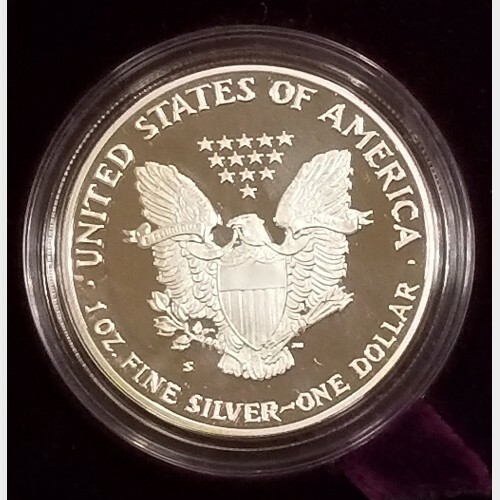 Coin is made of 31.072 g of .999 fine silver and .031 g copper. 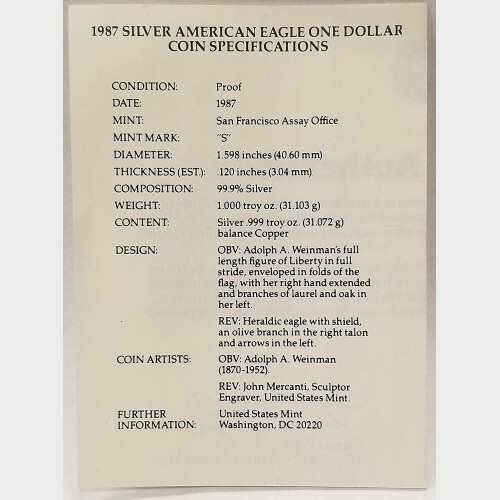 Coin comes in original packaging and with a Certificate of Authenticity from the U.S. Mint. May have toning on obverse and/or reverse.